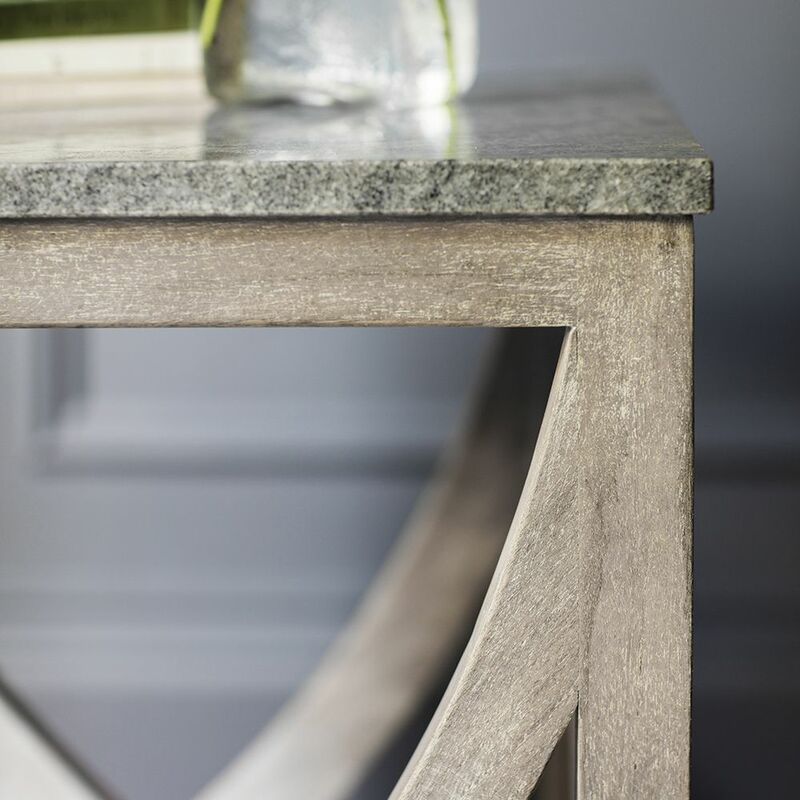 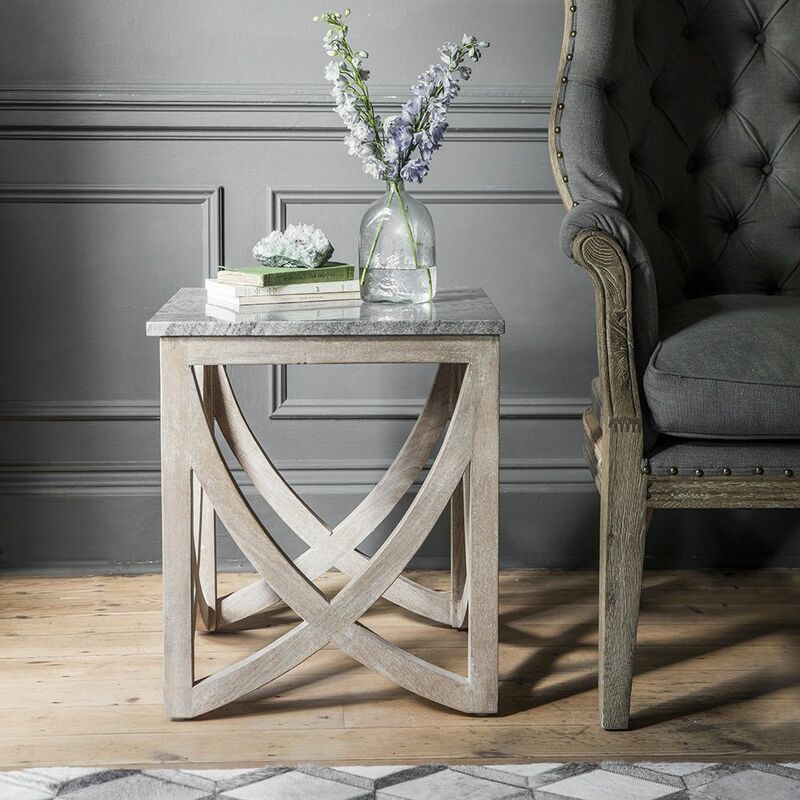 With its striking sculptural appearance, our eye-catching Lily Side Table with a grey marble top is a stunning contemporary piece of furniture. With its wooden base and grey stone top, it can be used as a handy surface next to the sofa, armchair or recliner as well as somewhere to throw the keys when you come home after a hard day. 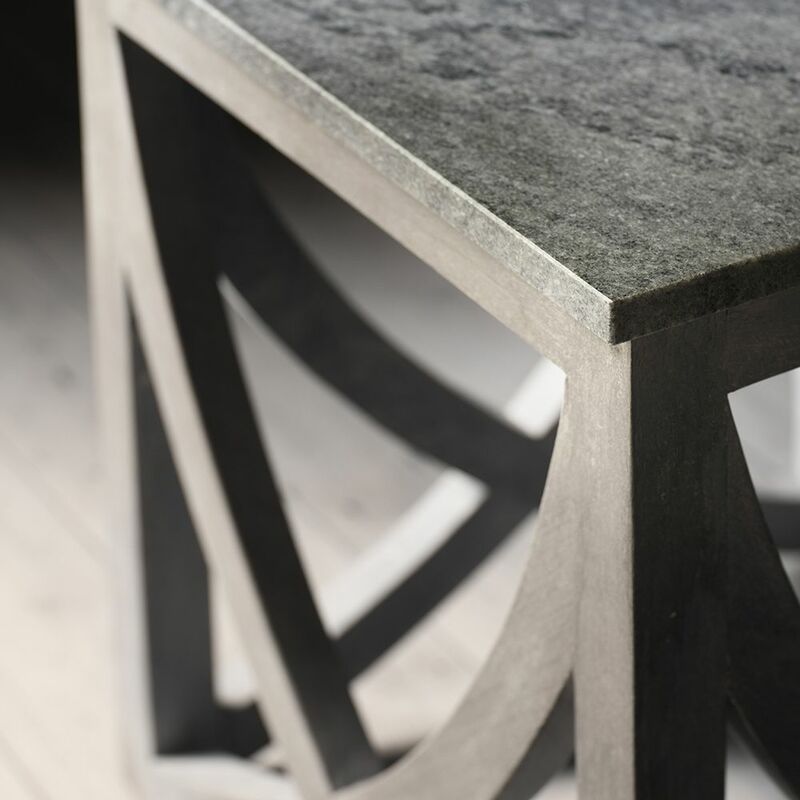 It could even be used in the bedroom as an alternative bedside table – either alone or as a pair on both sides of the bed. 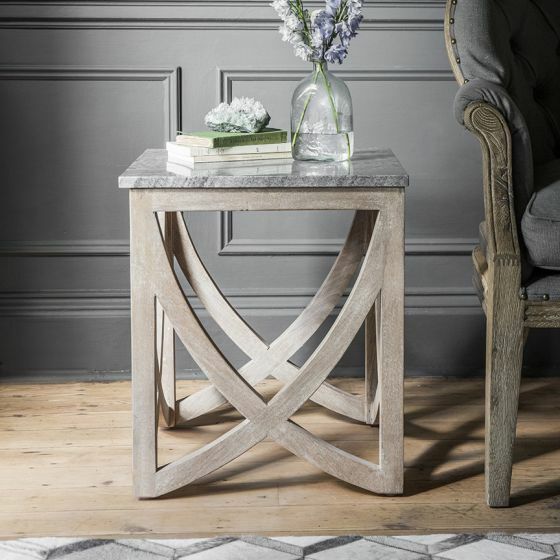 For a matching look, we also have the Lily Console Table and Lily Coffee Table.